If the Queen has one why can’t I? Stamps foot. I met up with a couple of my “imaginary” friends off of the t’internet for a morning/afternoon of coffee, gingerbread men and yarn shopping. 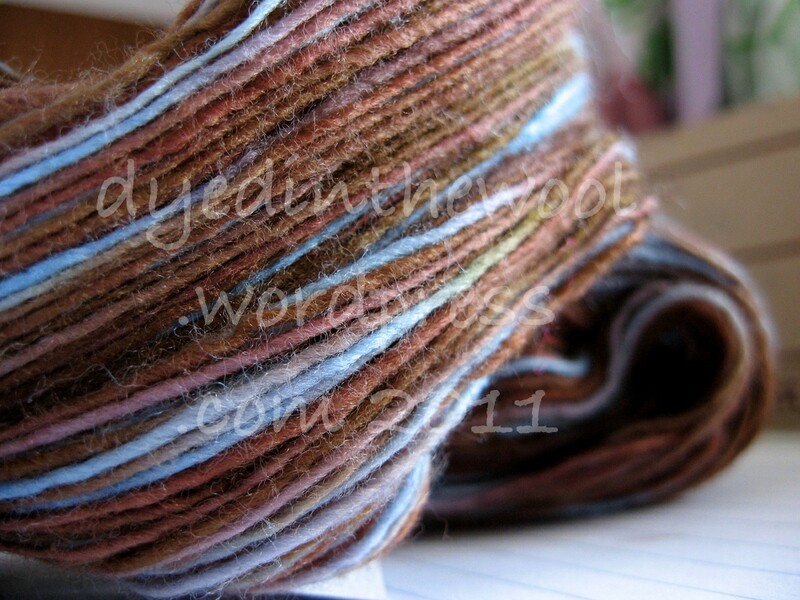 Malabrigo Lace in a yummy chocolate brown, pale lilac and baby blue colour. The colour is called "Blaze" - very appropriate! I’ve managed a few rows of my Blooming shawl (which still defies being photographed correctly; in some lights it’s blue, in others purple) and a couple of motifs in the Corelli CAL. 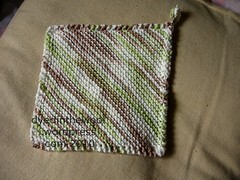 I have two more completed washcloths. 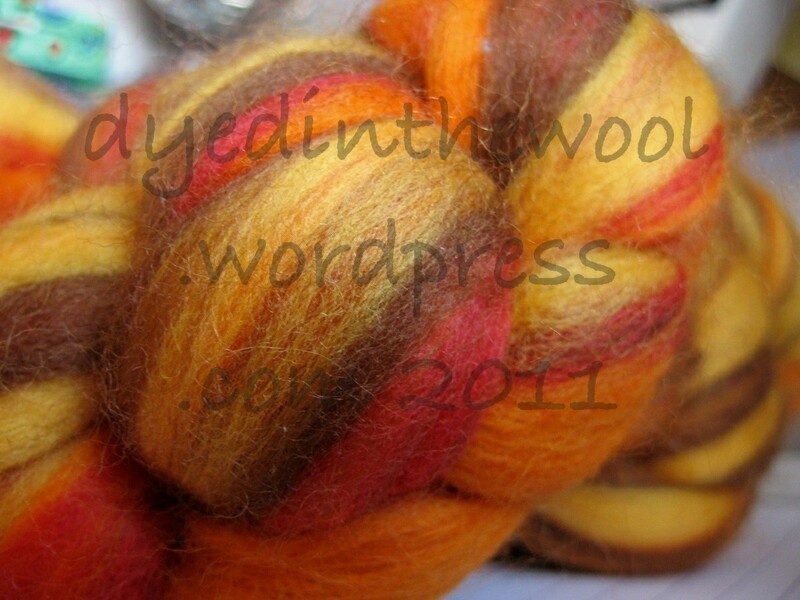 Dragonfly (Ravelry link): I may well be keeping this one for myself. 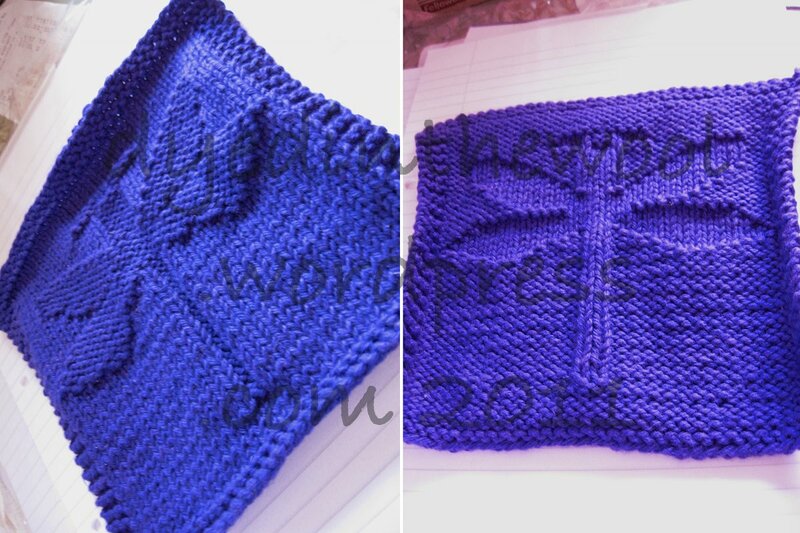 L: Knit-side uppermost R: Purl-side uppermost. Another purple defying photography! 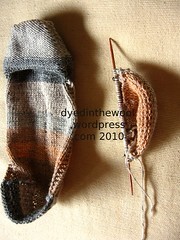 Both made in Peaches and Cream yarn. The cold is progressing and I’m now at the hacking dry-cough stage. Of course, this is really nothing in comparison to what happened in Japan so I’m trying not to complain to much. 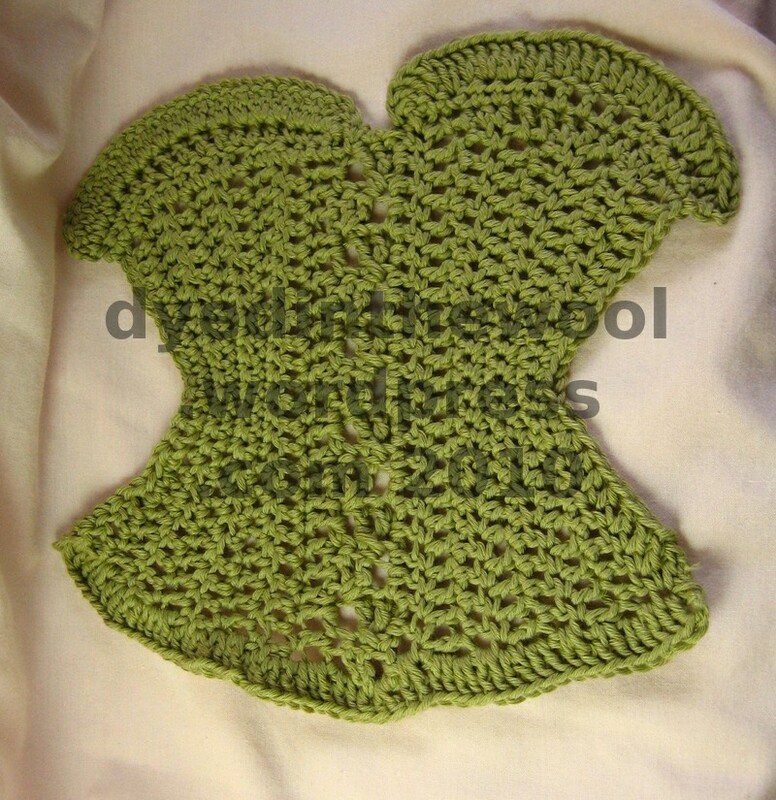 FO: Coldharbour Twist plus bonus FO. 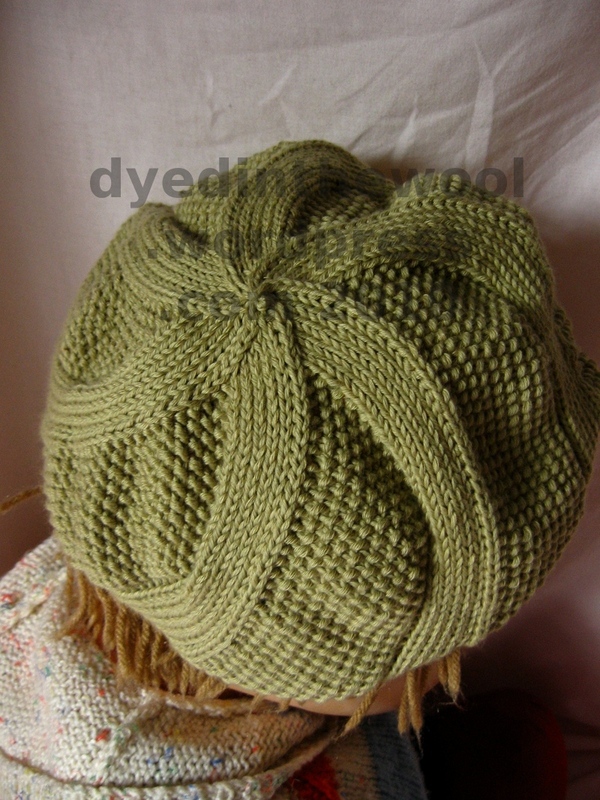 Yarn/needles: Sublime Organic Cotton DK. 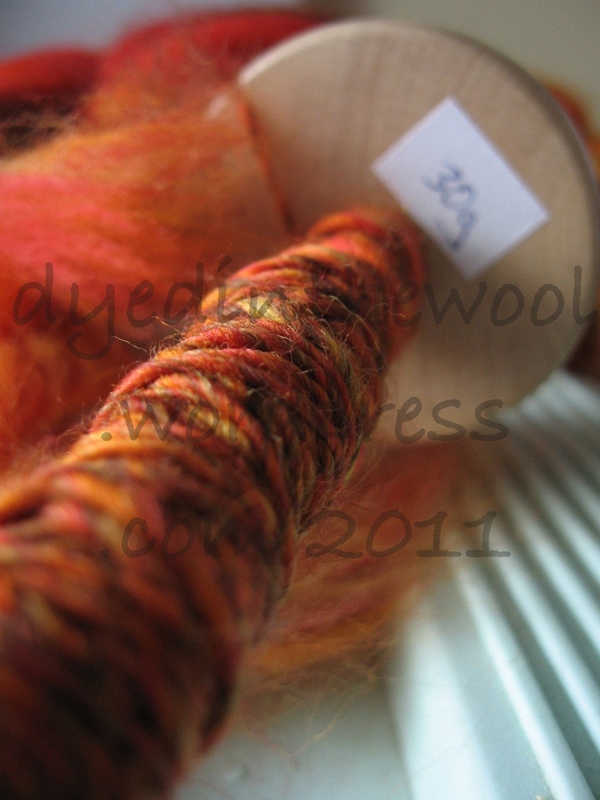 Approx 75 g used (180 yds). 4.5 mm circular, used Magic-loop style. 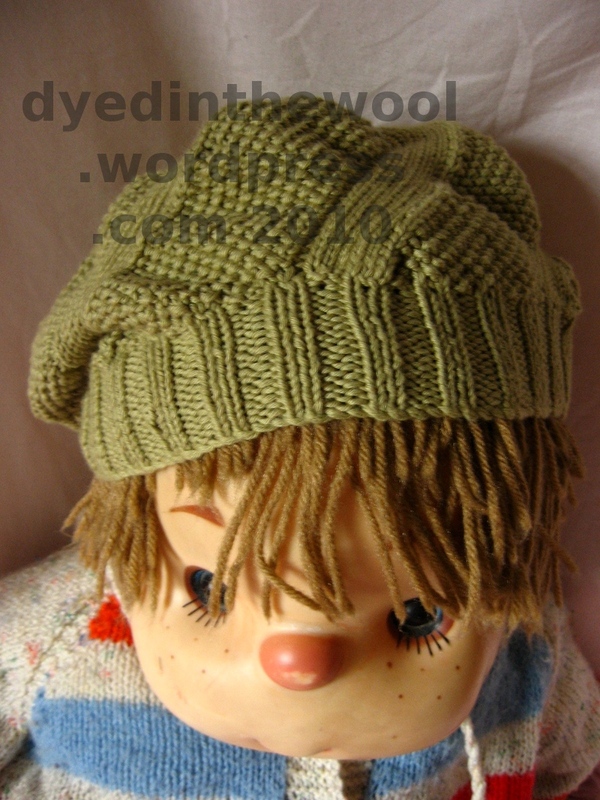 Made for my mum who doesn’t like hats “with holes in” because “isn’t a hat for keeping you warm?”. 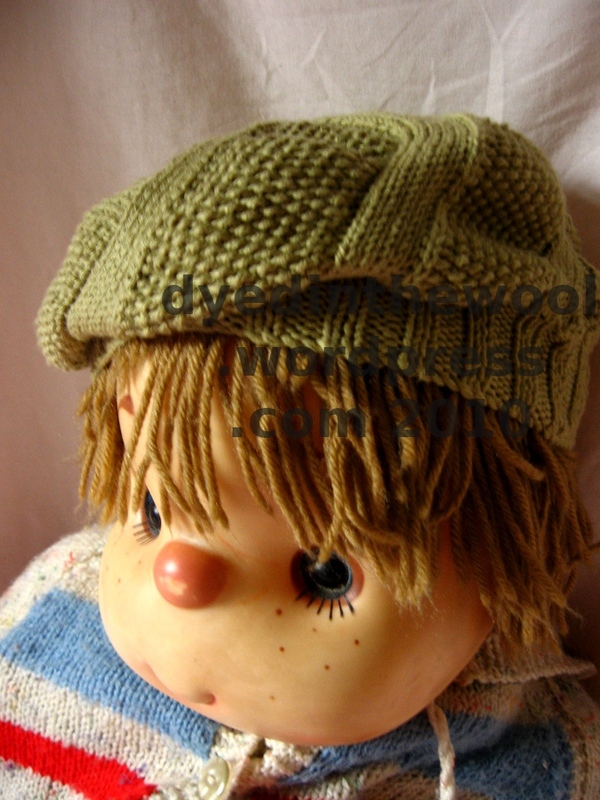 She also has a head of curly hair so the beret shape is perfect for avoiding helmet-hair. Lovely pattern as you would expect from Woollywormhead and I was pleasantly surprised by how the yarn worked up with the texture. 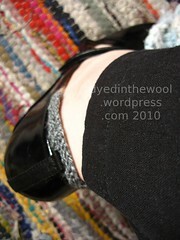 Pattern: Lady Marmalade by Shirley MacDonald. 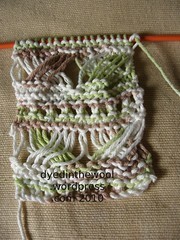 Really fun pattern and works up very fast. Knew I was running out of yarn fast and so worked the bottom ruffle in a series of trebles (US doubles) instead of as prescribed in the pattern. Great way of trying new stitches and techniques in a small project. I’m leaving the icky, TMI (Too Much Information) ear-stuff until the end so you can skip over it if you don’t want to read it! So on to the second one. Dull, but effective! 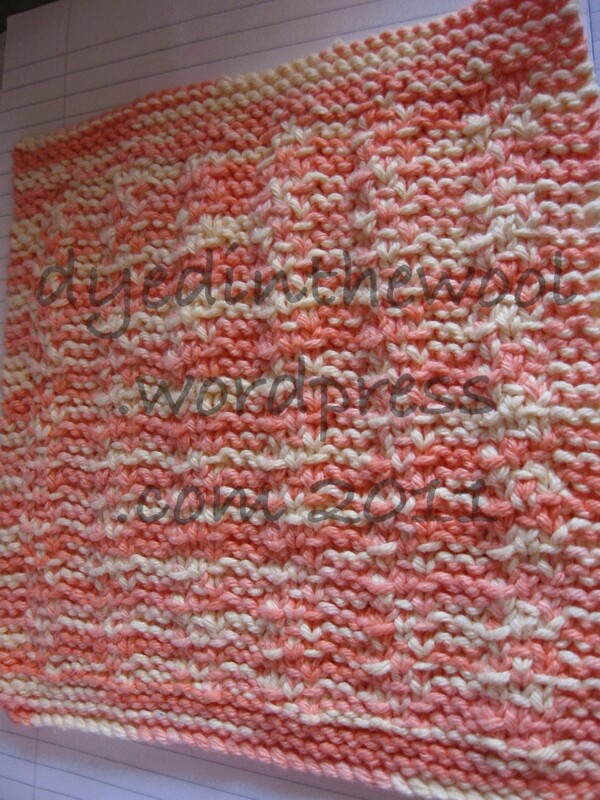 Yarn is Lily’s Sugar ‘n’ Cream. I made it big enough to cover my splayed hand. I’ve decided to stop doing Project 365 (I had a bad week and missed a day and realised I didn’t really care all that much) but I’ll still take photos of things which take my fancy. 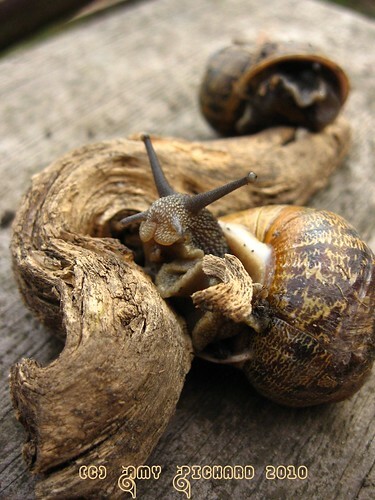 For example: I found this curvy piece of wood and these two snails and saw synergy in the shapes and movements.